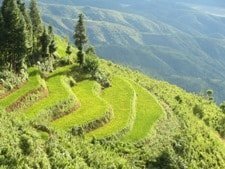 Dalat is a former French colonial hill station, 1,500 metres up in the pine-forested mountains of Vietnam’s Central Highlands. Many travellers come here hoping to find a romantic mountain town dotted with fading colonial villas. However, these days Dalat is more of a concrete jumble of hotels surrounded by industrial scale agriculture. But you can still live out your colonial fantasy by staying in one of the few hotels housed in colonial buildings. 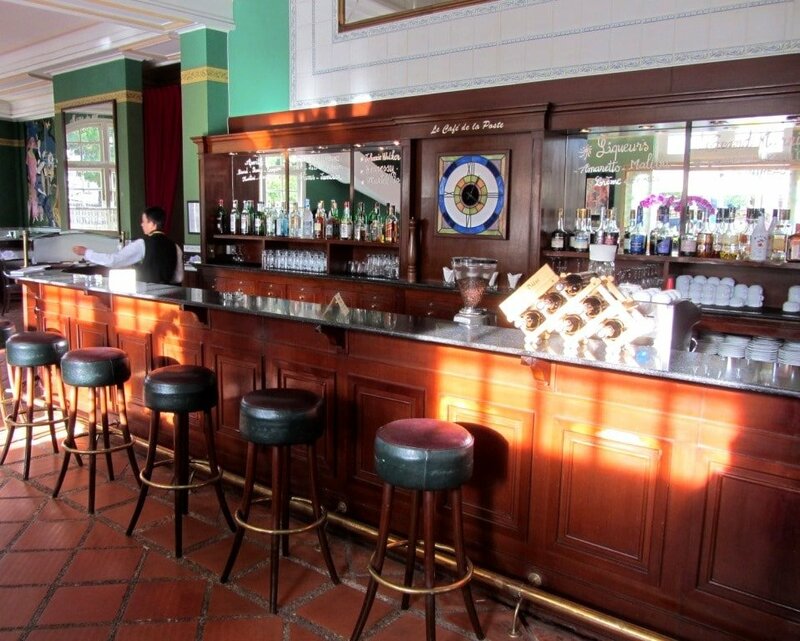 The Hotel Du Parc is the most affordable and unpretentious of these. 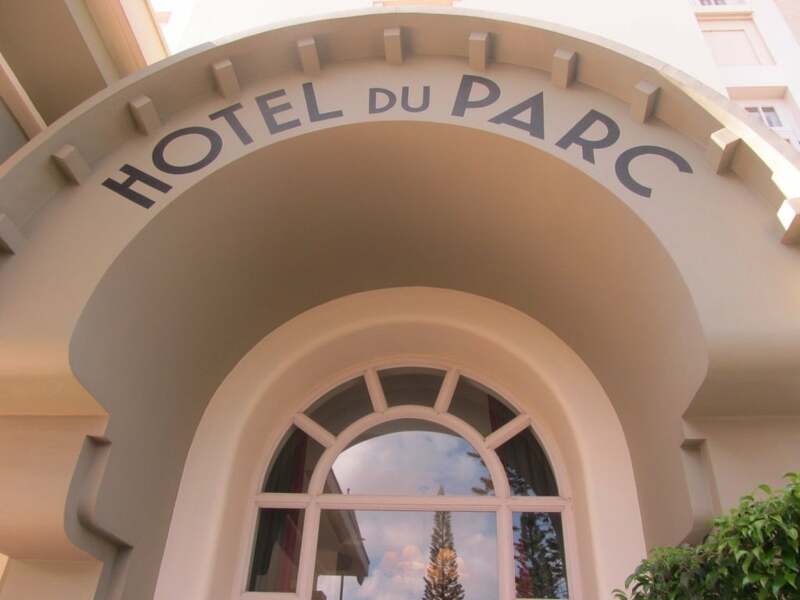 A long, imposing, cream-coloured building with red roof tiles, the Hotel Du Parc is a grand but plain example of French colonial architecture. After passing under the Art Deco entrance, there’s a wide lobby with a bar on the left, reception on the right, and a classic old elevator in the middle. The latter, with weighted wrought iron doors that have to be manually opened and closed, and glass sides revealing all the mechanisms, is the hotel’s showpiece. 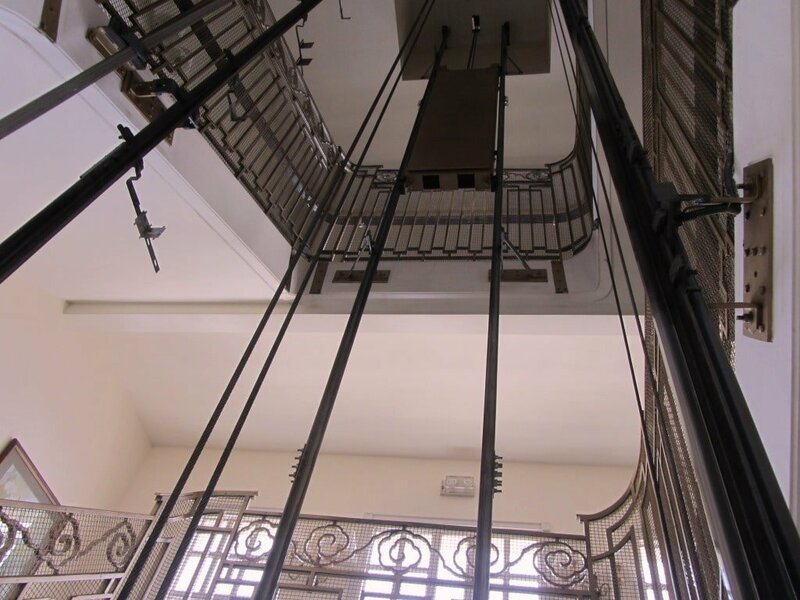 It’s great fun to watch the cogs and pulleys operating as the lift takes you to the third floor (at a speed marginally quicker than taking the stairs). The rooms have wooden floorboards, windows with views over Dalat, ceiling fans (there’s no need for air-conditioning in the cool mountain climate here), and all the modern amenities you’d expect, such as satellite TV, bathroom with bathtub and hairdryer, complimentary coffee and tea, writing desk, and free Wifi. Rooms are comfortable and cosy with plenty of character. Rooms at the front (facing north) have views over the city but can get a little noisy because of the road, while rooms at back (facing south) are quiet and have views over the Dalat suburbs and pine-forested hills in the distance. My favourite little touch in the rooms at the Du Parc is a heated lamp in the bathroom, which, in the cold mornings and evenings here, takes away the chill when stepping in and out of the shower. 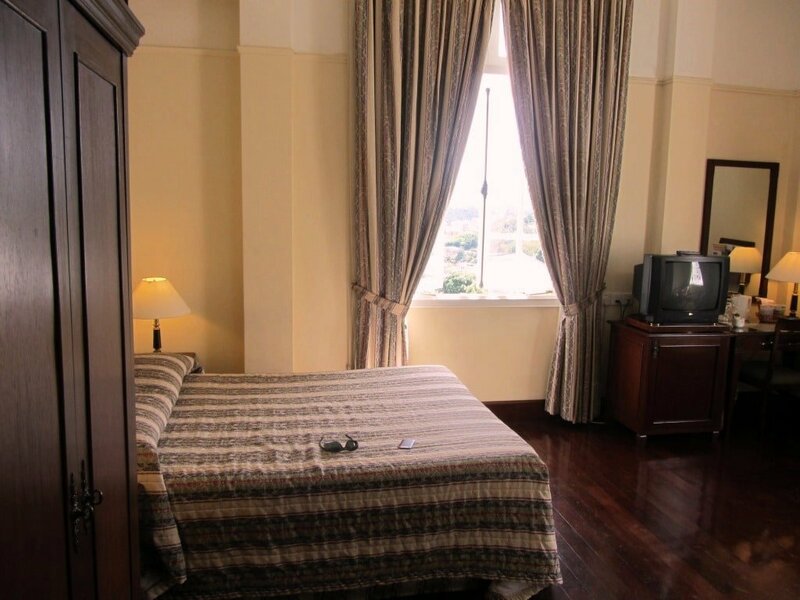 The Du Parc is centrally located, just a short walk from popular sights like Ho Xuan Huong Lake and Dalat’s central market. 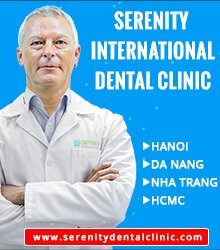 Staff are friendly, well-trained and speak pretty good English. 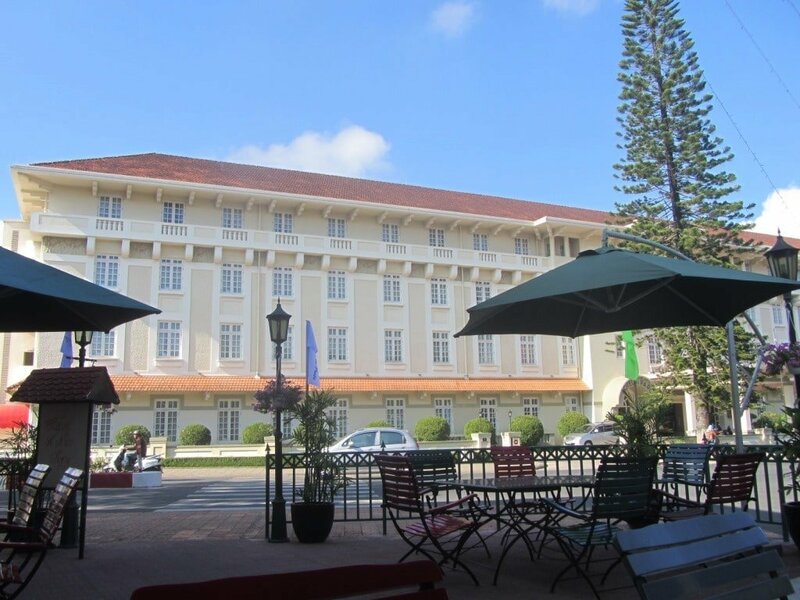 The Hotel Du Parc shares many facilities with its more luxurious sister hotel, the Dalat Palace, just across the street. 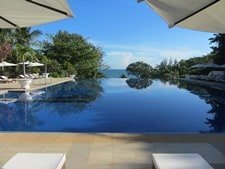 The tennis courts, spa, gym, and bar of the latter are all open to guests of the Du Parc, and deals are also available for the golf course across the lake. The hotel can organize any number of excursions in and around Dalat and there’s a shuttle service to the airport. 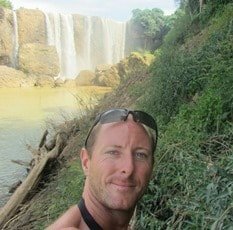 This entry was posted in ALL, Dalat, HOTEL REVIEWS and tagged central highlands, colonial, Dalat, du parc, guide, hotel, review, Vietnam. Bookmark the permalink. was in Dalat about 3 months ago…caught a bus up from Nha Trang (which was packed with Chinese and Russians..!!) and walked past this hotel; my thought was that must be expensive..haha. We ended up in small hotel on the hill; that night about 10 buses parked opposite with much revving and juggling and a street light right outside the window ensured we got little sleep. Will know where to stay next time. Oh dear 🙁 Yes, it does look like an expensive hotel from the outside, but even though the standards are high, the prices are very reasonable. I hope you get a chance to stay there next time you visit Dalat. I used to rent bikes from one or two of the waterfront bars/cafes/restaurants opposite the ferry terminal in Vung Tau. The last couple of times I used Ned Kelly’s Bar – they were good: decent staff, good bikes, reasonably priced. 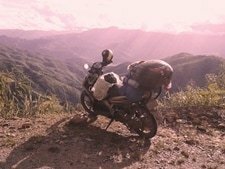 No, you shouldn’t have a problem with trucks and traffic riding up to Dalat from the east – the mountain roads leading from the coast up to Dalat are very quiet as the trucks take Highway 20 instead. There are lots of options when travelling from the coast up to Dalat – take a look at this map as an example. Highway 20 is the one you want to stay off as much as possible. We just spent two nights at the Du Parc Hotel and was delighted by the hotel! 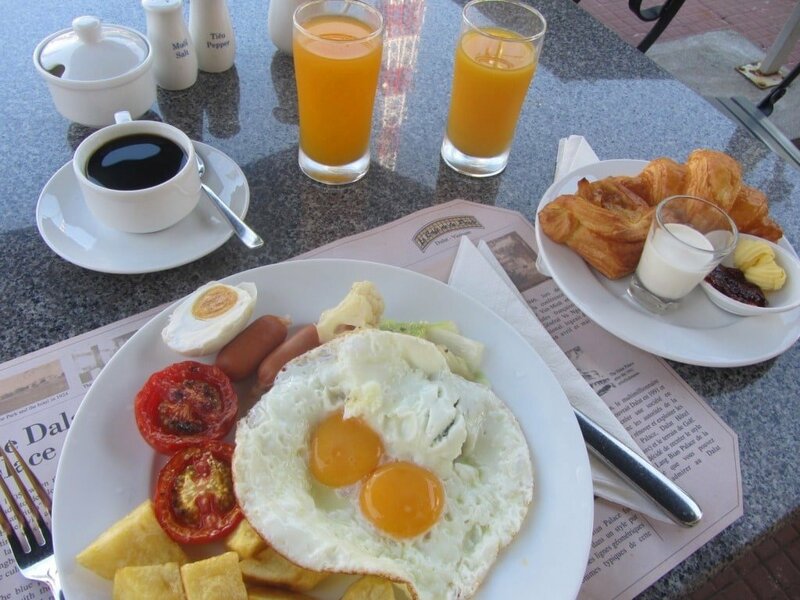 The breakfast truly is spectacular, with real French croissants as well as English and Vietnamese breakfast items. They particularly impressed us when they organised scooter rental and a bus from the hotel to Quy Nhon – at great prices, with absolutely no effort from us! All this at a bargain price for a standard room, so I definitely agree that it is good value for money! 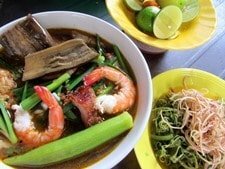 I have to mention the amazing street food street we found around the corner from the hotel: Nha Chung. This place has everything you want at very good prices, and is bustling with locals, especially between 16h00 and 18h00 when the schools in the street are finished for the day. The kids are keen to greet you and show you what their favourites are! A very special, more modern place is called Delicious… look out for it in this very street! Glad you enjoyed your stay at the Du Parc. I love staying there too, especially the breakfast 🙂 I’ll check out the food street you mention next time I visit. I’ll spend my next whole week in Dalat. So excited!! Do you know where they rent bikes, normal ones? As I see, there are only bikes for couples which are so inconvenient. Maybe one day i will try one like that ! Thank you to share this experience with us. It’s a good value place to stay – around $35 a night. I like staying in local guesthouses too, but sometimes it’s nice to stay somewhere a bit different.